As an established screenwriter, Maggie Wadey is known for bringing stories to life on screen – her credits include Northanger Abbey, Mansfield Park, The Yellow Wallpaper, and Stig of the Dump. But it was only later in life that she discovered an equally compelling story closer to home – that of her own mother. 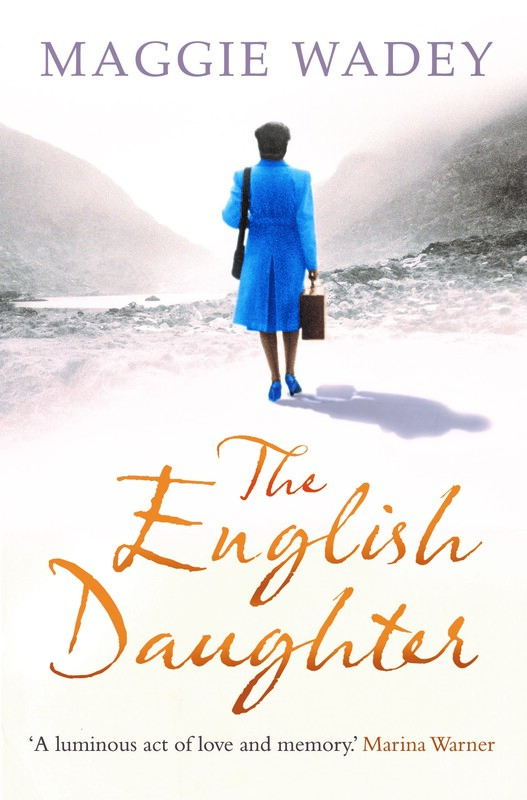 In The English Daughter: An Irish Story, Maggie Wadey tells the enthralling story of her search to find the truth. As a child, Maggie was aware that her mother, Agnes, was different from her father and his family, who were very English. But she knew little of her mother’s Irish background, her family’s experience of famine and civil war – nor the secrets her mother never told her. From the beginning, my beginning that is, I had a strong sense of my mother as different. My English family were small, compact and ginger-haired; my mother was dark, taller than average, long limbed and heavy-boned. My mother travelled with only a hatbox (though it contained no hats), having left home in a hurry after poisoning her mother’s geese. 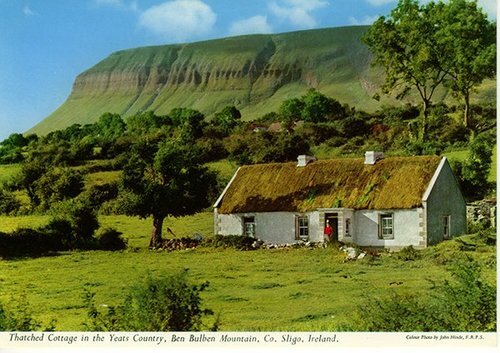 I felt I’d been born imprinted with this mental image: my mother standing in a twilit field – a very green field, for I knew Ireland was called the Emerald Isle, as green as the stone in my mother’s engagement ring – surrounded by a litter of geese as dead as pillows and scalded with my mother’s tears. Then, before she died, her mother finally started talking about her past, and Maggie began to piece together details of her early life in Ireland. The first part of the book is based on these memories, of family gatherings, the family home and flower garden, and of growing up and playing in the fields. This remembering is juxtaposed with the present and Maggie’s own childhood that began at the top of a tower, Collyer’s Boys’ Grammar School in Horsham, Sussex. I was born into a world of women. My infancy was spent in the company of my mother, my paternal grandmother and my aunt, my English aunt…My grandmother was plump and petite. With her white hair and powdered face, she was sweet and light as a meringue dipped in icing sugar. Her father is absent. There is photograph on the sideboard. Maggie is told that he is away fighting in the war. Meanwhile, her mother strides through the streets in her trench coat, firewatching. But I pictured her swallowing the fire. I saw her throw back her head and open her mouth wide to swallow the flames – which was why fire sometimes came back out of her mouth, fire and spittle, and angry words. When her father returns from war, Maggie is three-and-a-half-years-old and her bed is removed from her mother’s bedroom. Maggie reminisces and explores her parents very different natures remembering how just after he returned from the war, she consciously chooses to be like her father. By the time of my fourth birthday I was already devoted to my father…I trotted at his heels asking questions I had quickly realised only he could answer: What makes snow? Where does the sound on the radio come from? Her mother is spontaneous. Her father fixed. And they consistently fall out over things like when one should arrive as a guest. Her father punctual if not early, believing that if you were invited at seven o’clock, then that was when you should arrive, whereas her mother believed you shouldn’t arrive at seven, insisting they shouldn’t arrive earlier than quarter past! As to her temper and her irrationality, they of course were put down to her being Irish as much as to her being a woman. I don’t mean that either of these points were ever made explicitly; they didn’t need to be. After her mother’s death, with whom she had a close but sometimes difficult relationship, Maggie travels backwards and forwards between Ireland and England both physically and emotionally. What emerges is a seven-year detective story of an ordinary family living through famine, emigration, war, and poverty. Maggie gradually begins to uncover much more about the truth behind the stories her mother did share, and discovers an explosive secret known only to the women of the family. An Irish history that finally reveals the story her mother could never tell, about Agnes’s sister Nancy, and her illegitimate child, whom she rescued from a brutal Protestant home for ‘fallen women’, delivering her into the perhaps equally doubtful care of the Catholic church, through whom the child was then adopted. The English Daughter is a powerful family story told in an original way, through layers of discovery which invite discussion around the power of memory and the nature of truth. I thought of my own mother whilst reading it and my own place outside of her Irish family, I too was the English daughter. Lost worlds, events, and people come to life through the extraordinary vividness of the writing, ultimately bringing a sense of closure that helps the author come to terms with her mother’s death – and with a troubling incident in her own youth. Thanks to Sandstone for the review copy. This entry was posted in Blog and tagged English Daughter, Ireland, Irish, Maggie Wadey, Review. Bookmark the permalink.